This REVO edition had been buzzing around my head for almost the entire decade of the naughties. 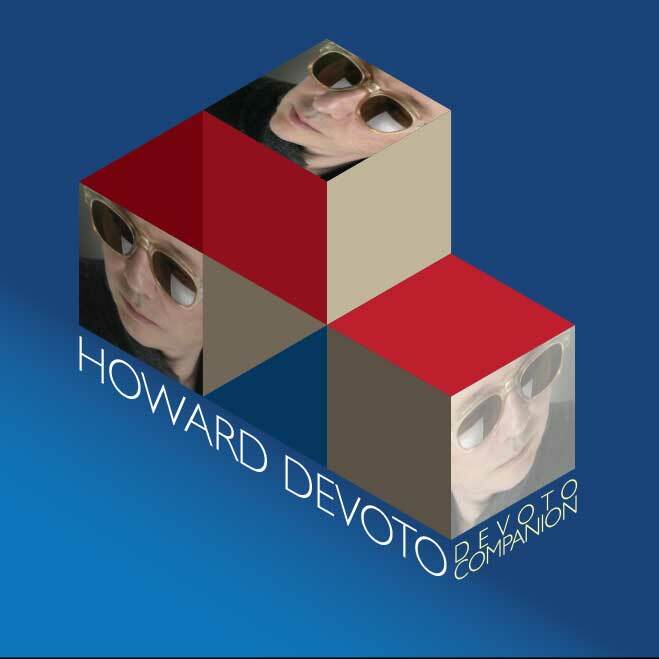 It was by that time that I had begun getting serious about compiling these discs that encompass the tracks that featured Howard Devoto that were non-lp and were not the Magazine rarities and B-sides that had already seen issue on the various Magazine CD reissues. This caveat allowed for the appearance of that band performing “Model Worker” live from the Urgh! A Music War soundtrack, which was otherwise lost in the mists of time; the sole Magazine track that is not accounted for on any of the fine Magazine discs available during the last nearly 20 years. After Magazine fissured and ruptured in 1981 following the release of “Magic, Murder & The Weather,” Devoto laid low for two years. 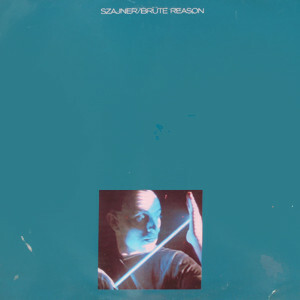 He finally emerged in 1983 with vocals and lyrics for three songs on avant gardist Bernard Szanjer’s “Brute Reason” album for Island Records. The trio of songs there were as inscrutable as anything he’d ever recorded with what can only be called his poetry and delivery riding on top of what sounds like Europrog not a million miles away from the sound that Eno achieved on “Another Green World;” specifically the tracks with Percy Jones on bass. I’d been searching for an affordable copy of that album for years before I finally found one that was right for my budget. Following that uncommercial dalliance, Devoto appeared later that year with perhaps his most approachable project yet, his solo album “Jerky Versions Of The Dream.” Beneath the perfection of the Malcolm Garrett/Peter Saville cover (their only other collaboration I know of apart from the Duran Duran single “My Own Way), the familiar names of Dave Formula, Laura Teresa and Barry Adamson turn up as Devoto delivered one of his finest singles in the evocative ”Rainy Season.” It was represented here by the 7” edit and the B-side to both the 7 and 12 inch single, “Rainforest (Variation N16).” The second single from the album was “Cold Imagination.” This track was the first of Devoto’s A-sides to ever be remixed for 12 inch. Though I had earlier purchased all necessary Devoto solo singles for all variants of the tracks included here, 2007 brought with it the DLX RM of “Jerky Versions Of The Dream” and its rather complete selection of the single sides as well as the unreleased Peel Sessions. Needless to say, This was the source for tracks five through ten. 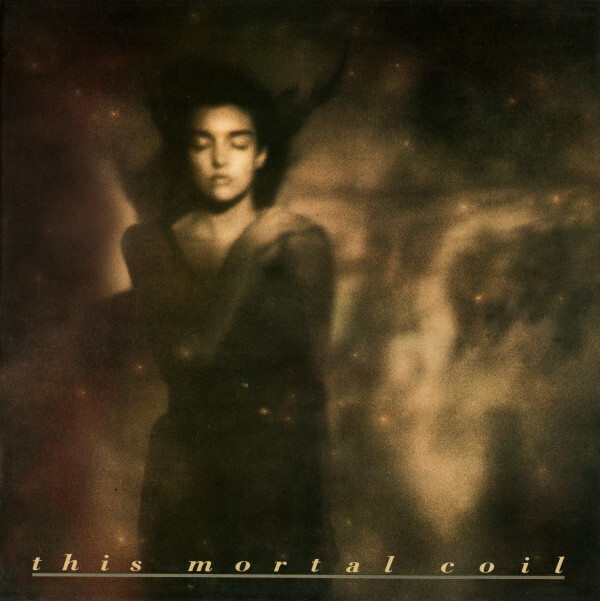 The year of 1984 brought only a single Devoto track, his cover version of Alex Chilton’s “Holocaust” on the first This Mortal Coil album, “It’ll End In Tears.” It’s interesting to hear Devoto couched in the “4AD sound” of post-new wave chamber music they proffered. 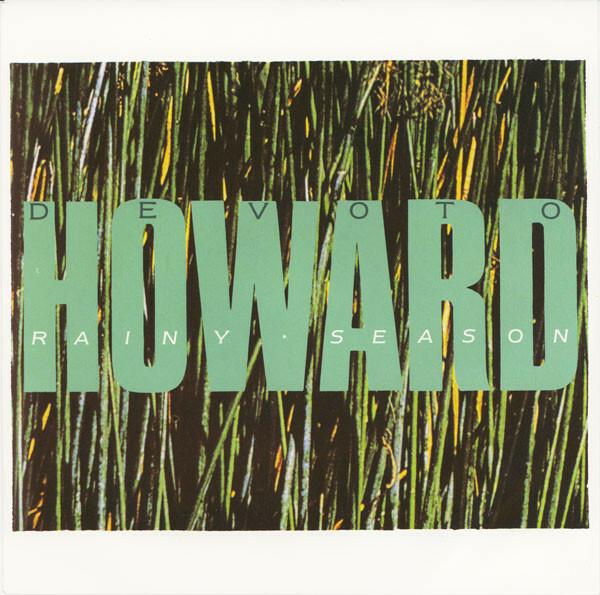 Perhaps the biggest influence of this project on Howard’s career moving forward was his use of ex-23 Envelope designer Chris Bigg to design the covers of all of his subsequent releases by his group Luxuria. A gulf of three years followed the TMC project before the latter-day group emerged on Beggars Banquet records in 1987. To comprise Luxuria, Devoto paired up with one Norman Fisher-Jones, a.k.a. Noko, who gave life to most of the music on their two albums. Their debut single, “Redneck” came in a stunning embossed paperboard sleeve with only the band’s and label’s name actually printed in ink on the cover. The album track, with its guitar solo of absolute perfection was unmolested for the 12” single, but the B-sides were two differing (hot) takes of Dylan’s “She’s Your Lover Now” placed back to back to get the blood stirred. 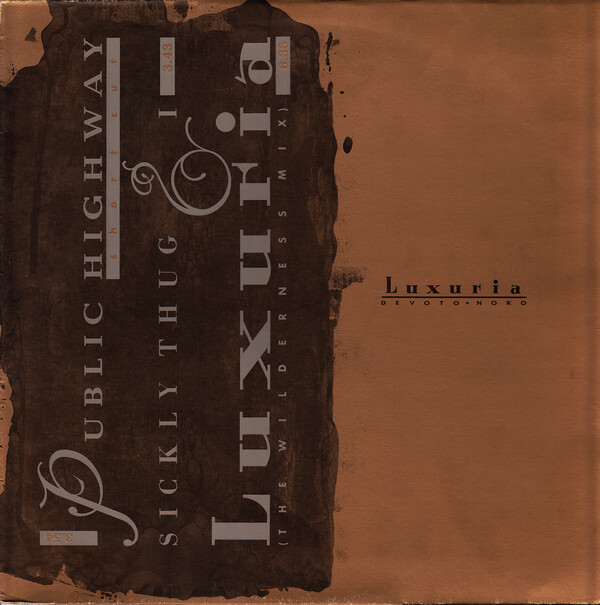 The final single from the album was “Public Highway.” The 12” featured a crisp 7” remix on the A-side with the B-side “Sickly Thug & I” also on offer. The disc’s flipside was an AA-Side; a fantastic extended remix of the track “Luxuria (The Wilderness Mix)” from the debut album. This certainly stands as Devoto’s finest remixed moment. He’s been one to shy away from the format, perhaps rightly so; but no one would look askance at the great mix that appeared here. The epic qualities of the track were certainly enhanced by the effort. 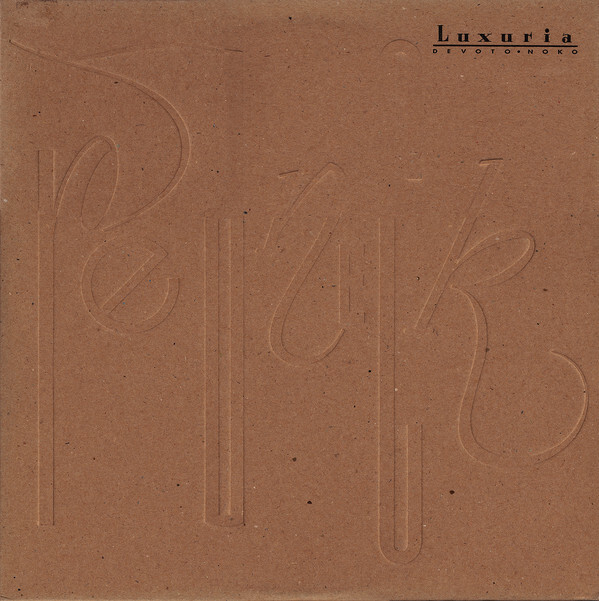 The next Luxuria Album evidenced the return on Dave Formula to the mix. Not only did he play but he was also listed as co-producer for the “Beast Box” album. 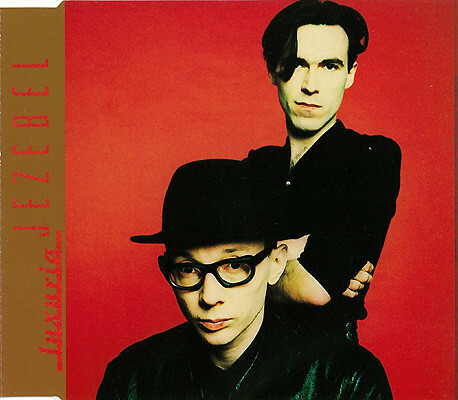 The title cut, “The Beast Box Is Dreaming” was the leadoff single and the B-side “Useless Love” is of note in addition to the brutal (2:43) edit of the A-side on the CD single. Luxuria’s final single, “Jezebel,” the venerable Wayne Shanklin chestnut, appears with several B-sides in addition to its 7” edit on CD single. An instrumental version of the track “Smoking Mirror” from the “Beast Box” album appears as well as two live tracks recorded at Leicester Polytechnic on March 8, 1988. Following these releases that failed to set the world on fire, or at least put a few Pounds in Devoto’s bank account, he made the pragmatic decision to eschew performing music as a means of support and got a real job. From 1991 to 2008, he worked as an archivist in a photo studio; pausing only to record the excellent Shelley-Devoto album “Buzzkunst” with his erstwhile Buzzcocks bandmate Pete Shelley in 2001. That release allegedly has a few rarities surrounding it but even in the world of the internet, not only have I not found these recordings for sale, but I have yet to see confirmation of their existence on anything but a Buzzcocks fan site. This entry was posted in BSOG, Core Collection, Remastering and tagged 12" remix, 2009, B-sides, Howard Devoto, Luxuria, Magazine, REVO. Bookmark the permalink. WANT, NEED, GOT TO HAVE…. Jerky Versions Of The Dream is a stunning album. 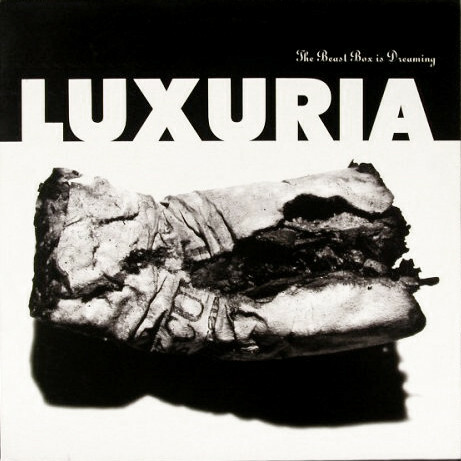 The two Luxuria albums were oases in the quicksands of Modern Rock in the late 80s. Buzzkunsts is just a wonderful melange of Motorik beats, Art Rock flippancy and anti-Britpop glory. I’ve never listened to the 12″ mix of Luxuria, but will now! There’s no one like Devoto, where he’s involved sheer brilliance usually follows. Back in maybe 1990 I went along to a signing event organised for the publishing of his book of lyrics. Criminally I seemed to be the only person attending…how could that be? Crazy. It was a bit awkward as a result! I’m sure I mumbled some inanities, but hey that’s what can happen in those situations, still, I got my book and a vinyl copy of Correct Use signed. SimonH – Wow! You went to a signing of “It Only Looks As If It Hurts” and we’re the only one there??!! Insane! Where was Momus when you needed him? I remember seeing that book once, in Murmur Records. I should have bought it on principle, but I passed as every Devoto CD had the lyrics printed within. I could have sold that book for a tidy amount when things were tight. I know, mad. It was in a chain book store, I’d been excited for weeks since seeing it advertised. So unless the crowd has already breezed through I was the only one in Bristol who was bothered, strange! I think at that point he was suffering from a disinterested UK public sadly, the Luxuria gig I attended a couple of years earlier was only moderately attended and was downsized venue wise. SimonH – It’s crazy that work like Luxuria fell on deaf ears at the time. At least you had the opportunity! Living in Florida at the time, I can safely say that Devoto never set foot on my state’s soil. A friend [Mr. Kane] at least saw Magazine in Los Angeles, back in the day. I’m sure Devoto found that amusing SimonH, although I can understand your slight feeling of awkwardness! 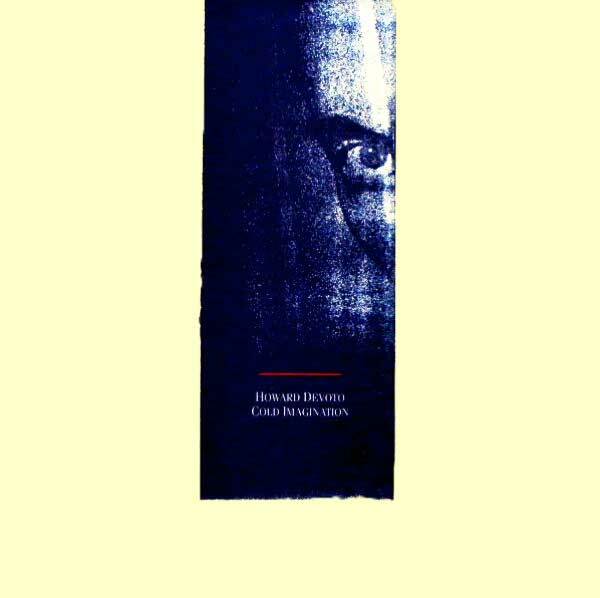 I came across ‘Unanswerable Lust’ a couple of years after its release, on a cassette originally as I remember, having up to that point been unaware of Devoto’s post Magazine/solo work. I think it’s excellent, same goes for ‘Beast Box’, both of which I own now. I never got to see Magazine back in the day, so was over the moon when they returned in 2009, even more so with the release of ‘No Thyself’. Obviously McGeoch’s shoes were impossible to fill, but Noko managed admirably and actually made his own mark on some of those old songs. He is brilliant on the recent LP too I think. mrtulip – Welcome to the comments! I can imagine each of us regressing to amoebahood in the presence of Devoto. I once was in the audience of a Fripp Q+A following a Soundscape concert, and I could not think of an intelligent and worthwhile enough question in my one and only chance to quiz the master… and I had weeks to prepare my question! Not that Headmaster Fripp would let anyone off of the hook in case of stumbling. He told the crowd ahead to ask things of him that could not be researched online up front! SimonH – Nor would I expect you to!